The week is open to people of all abilities and the diving is fantastic. The diving in Malta and Gozo has everything from wreck diving to beautiful scenic dives with deeper wrecks for those who are technical trained. We will be using a Dive centre based in Marsalforne, Gozo. All fills can be obtained here along with any equipment that you may need to hire. Equipment can also be hired from Reefers and Wreckers and taken out with you. From lovely calm bays to deep caverns to the world famous Blue Hole, an absolutely magnificent dive into crystal clear water and views that will be stay in your memory forever. There are also more challenging dives such as Billinghurst Cave which is a large underwater cavern or Double Arch with its amazing rock formation and we can not go without mentioning the three wrecks at Xatt L’Ahmar, simply awesome. There are over 40 dive sites in Gozo alone that can be reached from the shore so you will never get bored. Once your flights are booked please contact Mick Turner at Reefers and Wreckers to arrange your accommodation. There is the option to stay in the 4 star Calypso Hotel or more traditional Gozitan accommodation shown below. Prices can be as little as 20 euros a night with the option to upgrade for those with a higher budget. Once on Gozo you will need transport which will be arranged by Reefers and Wreckers. It is a good idea to go for a 4 wheel drive vehicle as access to some of the dive sites can be fun ! A Maruti Jeep can be hired for approx 160 Euros which will easily accommodate 3 divers, Possibly 4 depending on the amount of equipment. This can be shared out meaning you will have a Jeep for roughly £50 a week each. Gozo is the smaller, sleepier and more tranquil sister island of Malta – a haven of peace just a stone’s throw away from this bustling and cosmopolitan centre. 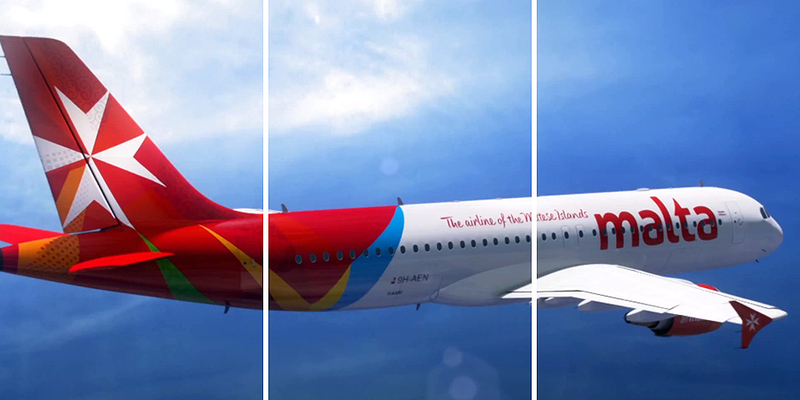 Air Malta, the islands’ national air-carrier, fly directly to most of Europe and beyond, making it the perfect choice for an island getaway throughout the year and with convenient, accessible connection possibilities. Once in Malta, allow around one hour to get to the Circewwa Harbour, Malta’s most northern point, and allow a further half an hour for the pleasant regular ferry crossing to Gozo. Once here settle back, relax and let the tranquil Mediterranean atmosphere wash over you. Follow this link for the Ferry timetable.